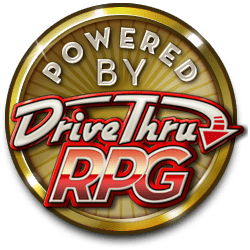 This revolutionary product will allow you to bring your tabletop superhero game to unprecedented levels of gaming satisfaction. By customizing the twelve basic figure templates provided, you can create literally hundreds of dazing super-heroes and super-villains. No complex procedures or computer expertise needed, just click on the buttons, create your favorite hero and print his or her mini. 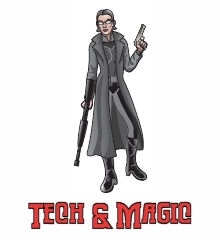 This set of figures includes tech wonders and magic using superhero templates, including cool guys with overcoats, magicians, armored heroes and demigods of variable gender and ethnicity. Revised edition: offers better performance while customizing the heroes! Warning: this product requires Adobe ® Reader ® 7.0 or higher, available for free from Adobe Systems, in order to use it. Other tools used to display PDFs, like FoxIt Reader, might not work properly with the Spandex Legion. Please check the Alephtar Games web site for additional hints about enhanced usage of this product. This title was added to our catalog on July 02, 2009.